An infrared sauna is a type of sauna that uses light to create heat. These saunas are sometimes called far-infrared saunas - "far" describes where the infrared waves fall on the light spectrum. A traditional sauna uses heat to warm the air, which in turn warms your body. An infrared sauna heats your body directly without warming the air around you. The appeal of saunas in general is that they cause reactions, such as vigorous sweating and increased heart rate, similar to those elicited by moderate exercise. An infrared sauna produces these results at lower temperatures than does a regular sauna, which makes it accessible to people who can't tolerate the heat of a conventional sauna. Our Signature Salt Glow is done in our vichy showers which were designed in France with total body therapy in mind. The vichy shower consists of four shower heads raining warm water down on the body from head to toe. The therapist takes cleansing gel and sea sponges and does a general cleansing of the body, followed by an application of sea salts with loofah gloves to exfoliate. The exfoliation pays close attention to all of the dry areas of the body (elbows, heels, knees). is a full body Exfoliation using dead sea mineral salts and honey with exfoliating gloves. Water runs over your body from head to toe. Done in the Vichy Shower (Wet treatments room with shower heads running water on you from head to toe while lying on a table). is a full body Exfoliation using brown sugar with exfoliating gloves. Water runs over your body from head to toe. Done in the Vichy Shower (Wet treatments room with shower heads running water on you from head to toe while lying on a table). Client lays down on a bed wrapped with linens soaked in warm herbal water. This is good for relaxing the muscles and detoxifying the skin. Done in the vichy shower (Wet treatments room with shower heads running water on you from head to toe while lying on a table). Body exfoliation with dry brushes, then mud is applied from head to toe, then you are wrapped with thermal blankets and warmed up with hot water. Very good for detoxification, smoothes and softens the skin. Done in the vichy shower (Wet treatments room with shower heads running water on you from head to toe while lying on a table). Body exfoliation with dry brushes, then seaweed is applied from head to toe, then you are wrapped with thermal blankets and warmed up with hot water. 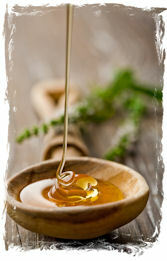 Very good for detoxification, smoothes and softens the skin. Done in the vichy shower (Wet treatments room with shower heads running water on you from head to toe while lying on a table). Body exfoliation with dry brushes, then seaweed is applied from head to toe, then you are wrapped with thermal blankets and warmed up with hot water. There is 30 min in the steam room and this also includes the hair and scalp treatment. Very good for detoxification, smoothes and softens the skin. Keep your tan looking fresh all year long, or come in if you need to be tan for a special event. We provide full body applications as well as Exfoliation and a full-body application. If just receiving the application we recommend you exfoliate at home just prior to your appointment. Our Airbrush Tanning solution is organic and mineral based (no chemicals!) Safe for all skin types and very natural looking. "Proudly Serving San Diego County since 1994"